In West Bank, Israeli And Palestinian Archaeologists Both Lay Claim To Heritage : Parallels The military's archaeology unit conducts excavations but keeps some information about the digs secret. "This approach raises suspicions," says an Israeli archaeologist who favors greater transparency. Israeli archaeologists are excavating ruins of a residential quarter dating back to the 2nd century B.C. at the Nebi Samuel site in the West Bank. According to an Israeli-Palestinian agreement, the status of the West Bank – and the artifacts found there – are to be negotiated in eventual peace talks. If history is a matter of dispute in the Middle East, so too is some of the archaeology underway to document and preserve remnants of that history. The Israeli military has an archaeology unit that is responsible for excavations in most of the West Bank, land captured by Israel in 1967 and sought by Palestinians for an independent state. According to an Israeli-Palestinian agreement, the status of the West Bank — and the artifacts found there — are to be negotiated in eventual peace talks. Until then, the military archaeologists continue to dig — and grant excavation permits to Israeli academics to dig — in the West Bank. "Our work is mainly to preserve the history of the area," said Benny Har-Even, the military's deputy staff officer for archaeology, walking among the ruins of a village dating to the 2nd century B.C. Nearby, the Palestinian workers the army employs laid cement to reinforce a row of stones, preparing the site as a tourist destination. The military's archaeologists see their job as a race to save some 3,000 known archeological sites in the area. "We need to take care of them, to protect them, to try to avoid bandits destroying them," Har-Even said. 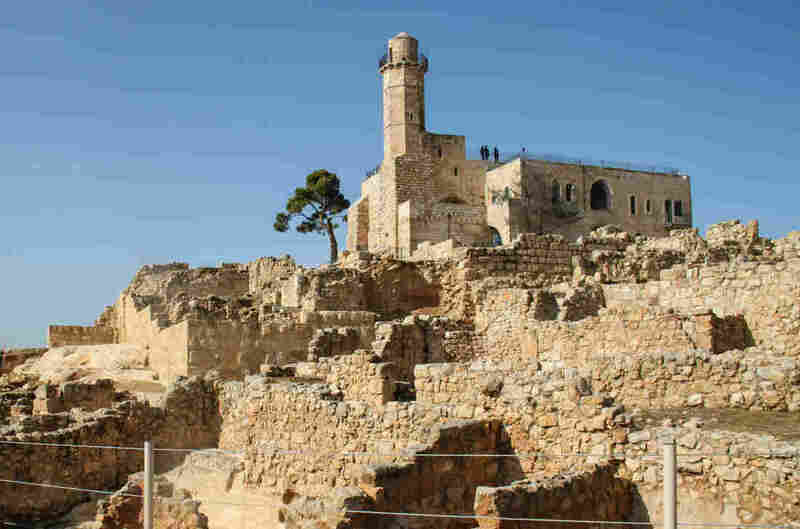 But some aspects of Israeli archaeology in West Bank are not made public by the army, according to Israeli archaeologist Rafi Greenberg of Emek Shaveh, a left-wing group of archaeologists critical of the digging. 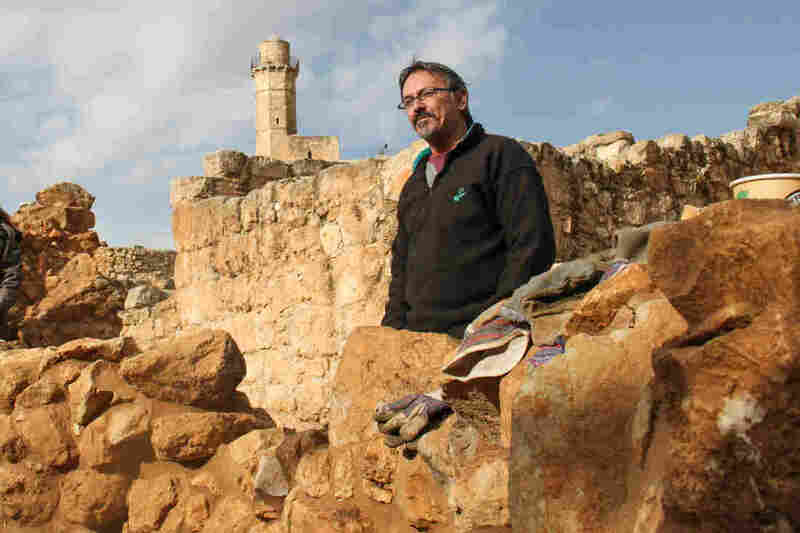 Benny Har-Even, the Israeli military's deputy archaeologist, stands among the ruins of a village dating to the 2nd century B.C. "They do not publish the list of excavations or the list of excavators or the list of finds or the location of their storerooms," said Greenberg. "That's all kept as a state secret." The group accuses Israel of using archaeology to strengthen its control of the West Bank, and it sued in court to find out which Israeli academics were granted permits to excavate there, among other information. An Israeli judge ruled in November that the identity of those archaeologists would remain classified, to protect them from boycotts by colleagues around the world who object to cooperation with Israel's military occupation of the West Bank. Greenberg believes the secrecy speaks volumes. "If it's wrong, then don't do it. And if it's right, tell everybody about it," he said. "But this approach that we are not going to let on, it raises suspicions. What can you say? If someone is not going to be transparent, they've got something to hide." In an interview, one archaeologist from an Israeli university who excavates in the West Bank, and who has published many books about his finds, asked not to be identified out of fear that drawing attention could lead to being boycotted. "I don't think I am doing something wrong," the archaeologist said. "I think I am salvaging data." The army's archaeologists say their work is necessary to protect important historical finds from being lost to a thriving market of Palestinian antiquities thieves. But former Palestinian Authority antiquities chief Hamdan Taha believes Israeli archaeologists are the ones behaving like antiquities thieves, digging in occupied land under a cloak of anonymity. Palestinian workers employed by the Israeli army's archaeology unit lay mortar to reinforce a row of stones, preparing the site as a tourist destination. "It provides a legal framework for open looting," Taha said. "It is turning the role of archaeology from scientific recovery of the past to [a] treasure hunt." Army archaeologists keep the artifacts they find in designated storerooms, and occasionally lend them to museums and research institutes for display. The Israeli court ruled in November that it would not reveal the location of the storerooms. It also ruled it would not reveal which artifacts were on display nor identify the institutions displaying them, following Israeli government concerns that publishing the information could hurt Israel's foreign relations and affect future negotiations with the Palestinians, among other reasons. Palestinian Authority archaeologists do conduct their own digs in areas of the West Bank they govern, and collaborate with international colleagues, but they don't conduct joint digs with the Israeli military. The Palestinians who work for Israel's military archaeologists are laborers unaffiliated with the Palestinian government. 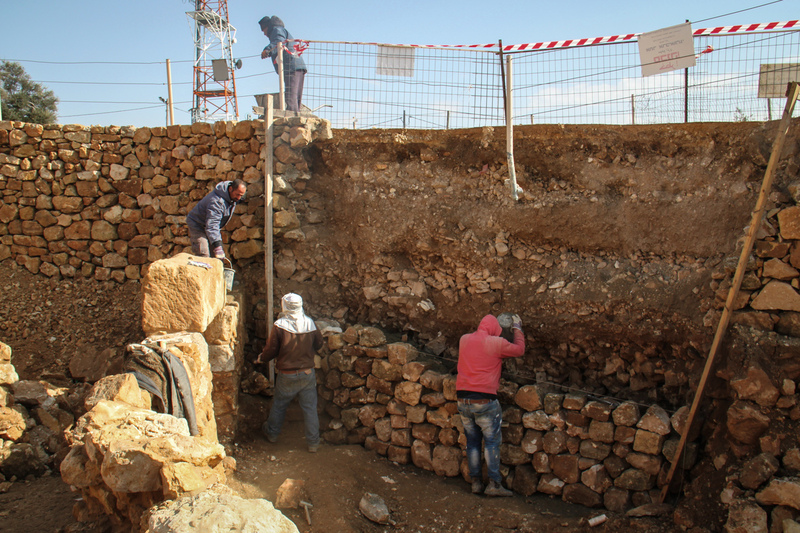 Some Israeli archaeologists argue they provide an important service in the West Bank because excavations could not be carried out in the same professional manner by Palestinian archaeologists, who they say are not as qualified. Taha rejects that argument. "This is a cheap argument, and I don't want to respond to this, because this is exactly the mentality of occupier: dominance," he said. Taha does acknowledge problems: Some historical buildings have been demolished by private Palestinian contractors to make way for new structures in the West Bank, which Taha blames on an outdated Palestinian law that does not adequately protect cultural heritage sites. And the field of Palestinian archaeology studies at West Bank academic institutions is young and developing. The Palestinian Authority still hasn't replaced Taha since he retired from his position as antiquities chief in 2014. Still, he said, even during times of violence, Palestinians have not let archaeological sites meet the same fate of sites in Syria and Iraq destroyed by ISIS.